Telephoto shot of a rainbow lorikeet taking off of a nectarine tree in suburban Melbourne. 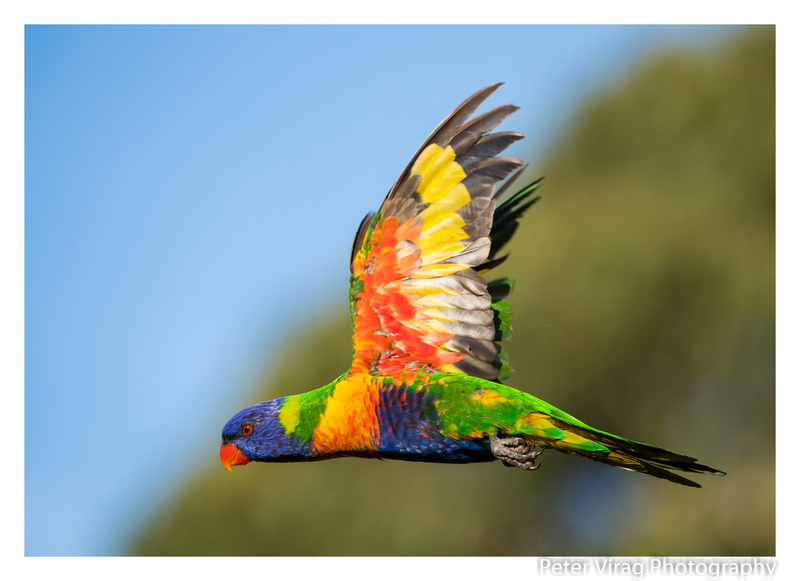 To me rainbow lorikeets are one of the most amazing creatures in australian wildlife, not only because of their beauty but also their high intelligence. I have been photographing them for quite some time and finally got a shot that I'm really happy with, especially because of how the light enhanced the stunning colours of its plumage.